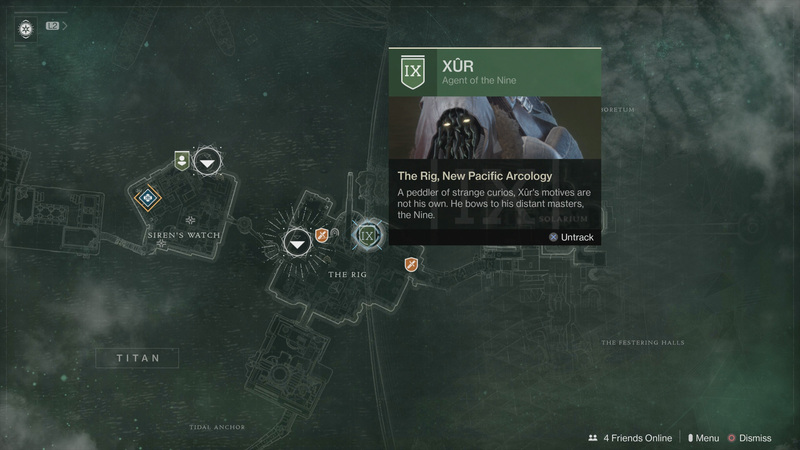 Xur’s location for Week 2, September 22, of Destiny 2. I’m not going to lie; Xur is kind of boring now that Bungie has put him on the map and stripped away all the extra inventory he had. He’s still exciting because he’s likely to offer Exotic gear that we still don’t have, but that will soon end as we progress through the end game and get more stuff. Even so, there are bound to be those who want to know his location and inventory before they load the game, so we’ll keep telling you each week. Here is where you can find Xur for Week 2, September 22, 2017, and what he will be selling. 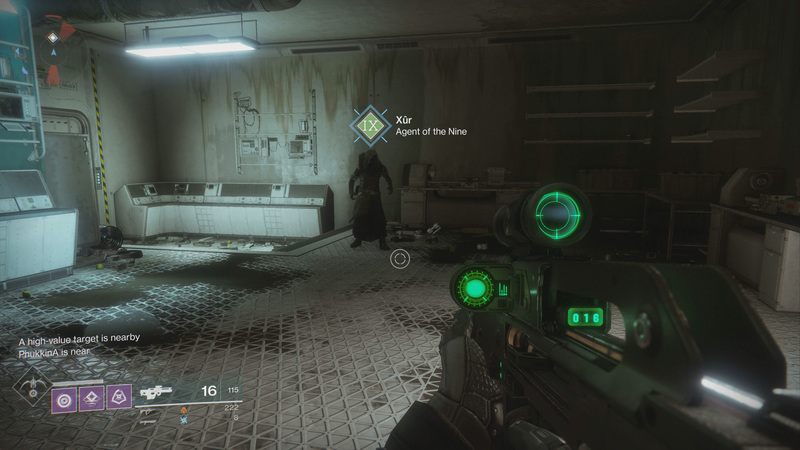 Currently, Xur is located on Titan, in the Rig zone. You can fast travel to the Rig and make the short trip to where the Agent of the Nine is hanging out. You'll find him tucked away under the main deck. You should be safe from enemies there, although there are some close by. Xur is selling the following items, all of which can be yours for a grand total of 98 Legendary Shards. You should easily be able to get that many per week if you're putting in the time. The answer to this is very simply, “Whatever you don’t own.” If he’s selling any items that you don’t have in your Exotic collection that you can afford, buy them. Collect them all. You never know what will happen to the game over the coming months and how the meta will change. Those ridiculous Gauntlets that you refuse to wear might end up being the item that helps you overcome a boss or challenge. Again, buy all the items he is selling if you don’t already own them. Now that you know Xur’s location for Week 2, September 2, 2017, be sure to visit the Destiny 2 complete strategy guide we’ve been building since the game’s release. It’s go everything you need to make the most of your journey as a Guardian.